We wish to put the record straight following false claims made by Khalid Mahmood MP for Birmingham Perry Bar, a former trustee of North London Central Mosque (NLCM). Until this week we intended to remain silent in the face of his provocative and ill-informed statements in the media but now we must speak out to defend the good name of our mosque, our community and our partners in Islington – Jeremy Corbyn, our MP, politicians and officials, police officers and faith and community leaders. Equally, important, we must highlight the increased risk of Islamophobic attacks that we now face as a result of Khalid’s Mahmood’s false claims and the climate of anti-Muslim sentiment he is helping to stir up against NLCM. A dignified silence was our preferred response so why this change of policy now? On Monday (19 July) Khalid Mahmood took his false claims against NLCM to a new and dangerous level. He repeated a false claim linking us to suspected Al-Qaeda terrorists, Umar Farouk Abdulmutallab and Anwar al-Awlaki. Later that night the mosque was attacked and violated by two men who were captured on our CCTV cameras sticking a pig’s head on the mosque gates. We have every confidence that Islington police will do their utmost to identify and bring to justice the two men seen photographing themselves proudly in front of their gross insult to our mosque and to our religion which we hold dear. Then it will possible to investigate the motivation for this despicable but all too common hate-crime. Like many other mosque’s in the UK we face an ongoing threat of Islamophobic hate-crimes of this kind that are exacerbated by claims such as Khalid Mahmood’s that falsely link us to Al-Qaeda. That risk is probably greater at NLCM because for so many years the name ‘Finsbury Park Mosque’ (NLCM is our official name) was accurately associated with the convicted extremist Abu Hamza and during his control – which coincides with some of Khalid Mahmood’s tenure as trustee – the mosque was regularly targeted by violent extremist thugs from the far right. If Khalid Mahmood had paid attention then he would realise now that his ill-informed comments are likely to prompt the English Defence League and associated Islamophobes to target NLCM once again and in the way they have targeted other mosques deemed to be ‘extremist’ or ‘terrorist’ in recent months. Since we took control of the mosque from Abu Hamza’s supporters in February 2005 the mosque has been firebombed and the recipient of hate mail that is motivated by anti-Muslim hatred. If Khalid Mahmood had ever shown any interest in NLCM affairs when he was a trustee he would be aware of this and the risk of inflaming hostility by linking us to suspected Al-Qaeda terrorists now. Instead, in truth, Khalid Mahmood was never more than a ghost trustee, never present when he was needed, least of all when the mosque was in the hands of Abu Hamza’s supporters and the risk of support for Al-Qaeda was real. If Khalid Mahmood had ever attended a trustee’s meeting at NLCM he would know that NLCM enjoyed a proud record of success for the period 2005 – 2010 in tackling the legacy of violent extremism inherited from Abu Hamza and his supporters. 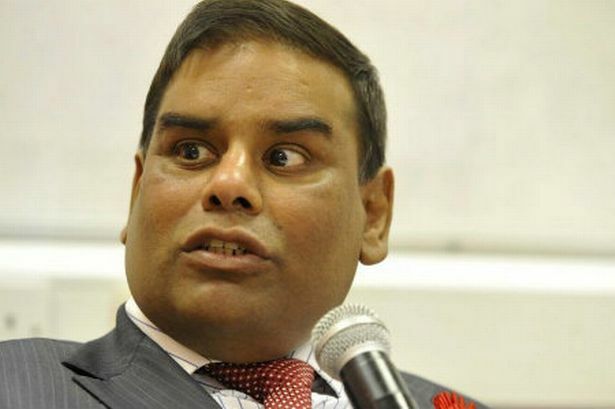 Instead Khalid Mahmood failed to attend trustee meetings and was dismissed in accordance with NLCM trust regulations as approved by the Charity Commission. This is an important point and a chance to put the record straight because Khalid Mahmood falsely claims he resigned as NLCM trustee. In fact, his tenure as trustee can be summarised as a consistent failure to do anything to help the mosque and its local community. According to The Spectator report “Mahmood notes how Peter King, the ranking member of the Homeland Security Committee has requested more information on this question in a letter to Eric Holder, the US attorney general”. Abdulmutallab attended a talk by Anwar al-Awlaki at NLCM in the fall of 2006 or 2007 do not relate to NLCM at all. UK between 2006 and 2007 because he was in jail as mentioned before. In his eagerness to denigrate NLCM Khalid Mahmood has repeated an American reporter’s mistake based on a failure to grasp basic London geography. It would be uncharitable but not unreasonable to suggest that Khalid Mahmood does not know whereabouts in London Finsbury Park is any more than the US reporter. It is certainly difficult to find anyone who has ever seen him in Finsbury Park. In that respect at least he has something in common with Anwar al-Awlaki and Umar Farouk Abdulmutallab. Khalid Mahmood needs to understand that his false claims may have the unintended consequence of boosting support for violent extremism against NLCM which in turn will fuel violent extremism of the kind that used to be fostered within the mosque when Abu Hamza’s supporters were in charge. We therefore call on Khalid Mahmood to retract his false claims and call on the Home Secretary and the Commissioner of Police to vindicate and acknowledge our sincere and effective efforts to tackle violent extremism in Finsbury Park and beyond and to help reduce the threat of Islamophobic attacks on mosques and Muslim communities in the UK. In the meantime we will continue to work closely with our partners in Islington to ensure that Finsbury Park remains a hostile environment for violent extremists of both kinds.